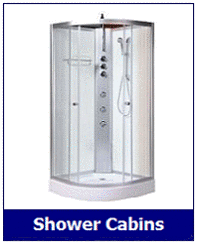 This Opus 04R shower pod is a 1200mm x 800mm, off-set model and made to fit into a Right hand corner position. Attractive looking and boasting the fast iLock™ assembly system, the Opus is a great shower for this modern era. It is an open topped unit and has a chrome finished top rain shower head, chrome multi hand shower on a riser bar plus three massage back jets. 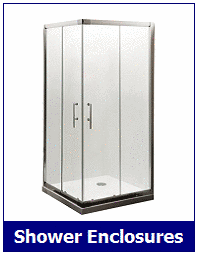 With 6mm clear tempered glass and smart Polished Aluminium frame this shower will be a great addition to any bathroom, en-suite or even bedroom. The iLock™ locking & assembly system means installing one of these Opus units is both simple and fast. With no electrical supply needed either, once assembled just connect the waste plus hot and cold water supply and you'll be up and running in no time.. The Opus 04r shower pod model shown here has Carbon Black walls; there is also a Polar White version and other Opus models in different shapes and sizes - see Opus Shower Cabins. Note: As not all customers require a shower seat, this is not factory pre-fitted. A drop down seat can be supplied as an extra with fitting instructions - Details Here.